Detoxification: We talk a lot about this topic in the autism community. Detox was a critical piece to my son’s recovery. Over the last decade, we have done a number of things to help support his body detoxify, like liposomal glutathione, Epsom salt baths, sauna therapy, and IonCleanse® by AMD. It was hard to wade through all of the research and stay up on the trends and new modalities. But, in terms of supporting his body and making progress, detoxification through diet, supplementation and adjunct therapies was absolutely key. That’s why my team at Real Food Mum and autism recovery specialist Dr. Kurt Woeller have combined forces to bring you the most comprehensive online summit to address detoxification from all angles! We’ve assembled some of my favorites in the medical detox realm—Dr. Joseph Mercola, Dr. Elson Hass (often referred to as the father of detox), Dr. Elisa Song (a brilliant integrative pediatrician), David Wolfe, and many more—to speak on the medical aspects of detox, including the genetic components involved. And as an autism mom, first and foremost, I wanted this to be well rounded. We talk about detoxing EMFs, detoxing your personal care products, detoxing your thoughts . . . autism moms, I am talking to you on this one! We even have a speaker on detoxing your pets! We also have another autism mom, Jacqueline Laurita, discussing her son’s journey and how detox played a role. The Detox Global Summit brings speakers from around the world together in an online platform to educate and empower you on ways to protect your family from the modern-day toxic onslaught that we face every day. You will find each interview or presentation filled with actionable, easy, affordable (some even FREE) ways to start detoxing your home and body. And this is not just geared towards the autism community! In my practice, I see people with various conditions, all looking to move towards optimal wellness. And no matter what their challenges, when we begin the education on ways to support their individual detoxification, things get better—in many ways. Detox is a must, and if you or a loved one have health issues like Lyme disease, mold toxicity, Alzheimer’s, MS (multiple sclerosis), dementia, or autism, this is a must-see. Please share this with your groups and on your personal pages, as detoxification is something everyone needs to be doing to optimize their wellness. Please join me and let’s start moving the discussion forward about cleaning up our homes, bodies, families, pets, and world for a healthier future together! 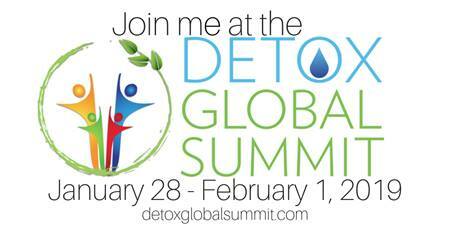 Register and get your free spot today by visiting detoxglobalsummit.com! 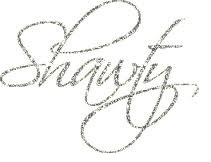 This entry was posted in Blogs by Thinking Moms' Revolution, Shawty and tagged detox, IonCleanse, Real Food Mum. Bookmark the permalink. No one said it was easy. That’s why conferences such as these are necessary; people need help. Conferences seem like sales promotions for despairing people. It isn’t just the ethical pharmaceutical field that overcharges. It doesn’t really matter what conferences “seem like” to you as long as they are helping the people who use them. My only concern about the “conventions” are that there are a lot of snake-oil merchants, selling a lot of untested products, at high prices, to people desperate for treatment. You may not be old enough, Professor, to remember Laetrile and other “secret” cancer treatments peddled by unscrupulous merchants of death who succeeded only in swindling people out of their life savings. I do. If there were truly successful cures, they wouldn’t have to be at these special conventions or spread by social media – they would be well-known, and would work. Just saying. Oh, I well remember Laetrile. However, your characterization of “unscrupulous merchants of death” comes straight from the supposedly regulated pharmaceutical industry, which many are now realizing can equally if not more accurately be described as “unscrupulous merchants of death” swindling people out of their life savings. No, I include Big Pharma in the unscrupulous rubric. Hi, and thanks for the opportunity to get more educated about detoxing and these wonderful products. I offer nutritional consulting and detox services with biofeedback (Ampcoil) and ion cleansing, but have up til now been working at other clinical venues and so using their detox systems. I will be opening my own venue outside of DC soon and had been planning on a purchase. I know this is one of the best systems on the market. What are y’all detoxing and what studies show the levels of whatever it is goes down? Right questions, wonder what the answers will be.